Made specifically for the TF2 trucks, this new kit will drop in our scale driveline (with front OD). All bolt in. All scale ready. All comp ready. We now are very pleased to offer this new LowRange re-geared Trans and LRT2 Tcase combo made especially for the low end torque and control we all need in our scale truck builds! This new combo set works especially well on the small-count ring and pinion axle sets we see in the market today, and this kit is a direct fit for the RC4wd TF2 truck frame. 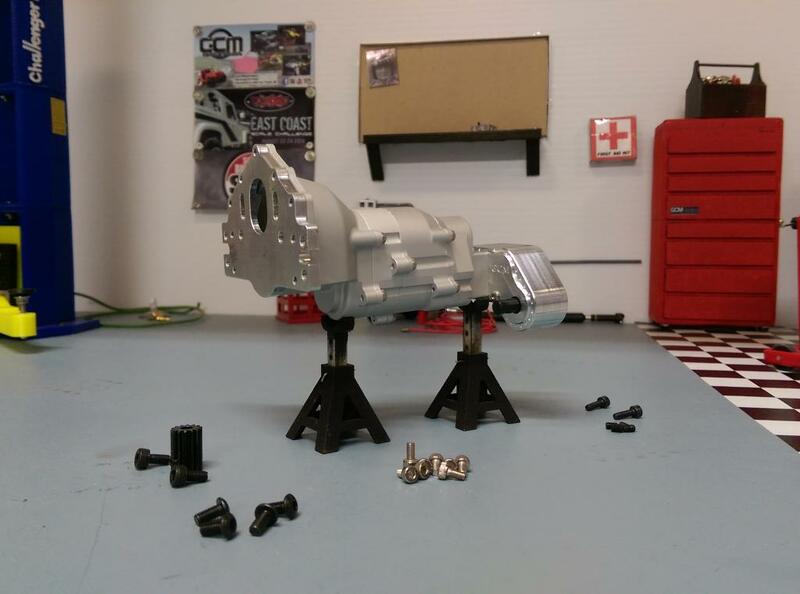 Using hand picked GCM components, we have assembled the scale truck builder's dream drivetrain including a right or left side drop transfer case in every package. 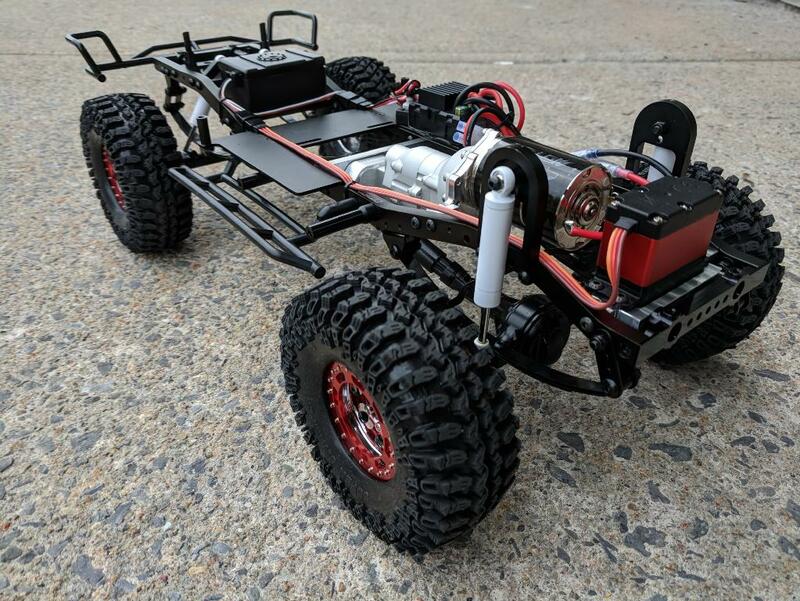 Start your next custom build with this beautiful and strong scale combo, and add some engine cover flair with our GCM Motor kit components as well available at our GCM Racing ShapeWays store Here at this link ! 1x full GCM LRT2 Tcase -Left or Right drop, overdrive front shaft output already built in, 5mm output shafts and thru-pin holes. 1x GCM LowRange scale Trans, including all steel gears and shafts, aluminum case, and a 14.3:1 gear ratio as per our spec. 1x GCM motor/Trans mount plate with 4 threaded mount holes and hex hardware. This package has been designed to work flawlessly together, with the GCM motor mount plate, the ALL NEW GCM LowRange trans (custom geared for this combo), and the LRT2 T-Case. We picked all steel shafts and gears for this unit to supply a reliable comp-worthy scale drivetrain setup that looks great! 1) Build the trans and Tcase as shown in the above video. 2) Remove the stock servo mount. Switch around the front right spring shackle bolt to have the NUT on the outside of the frame. 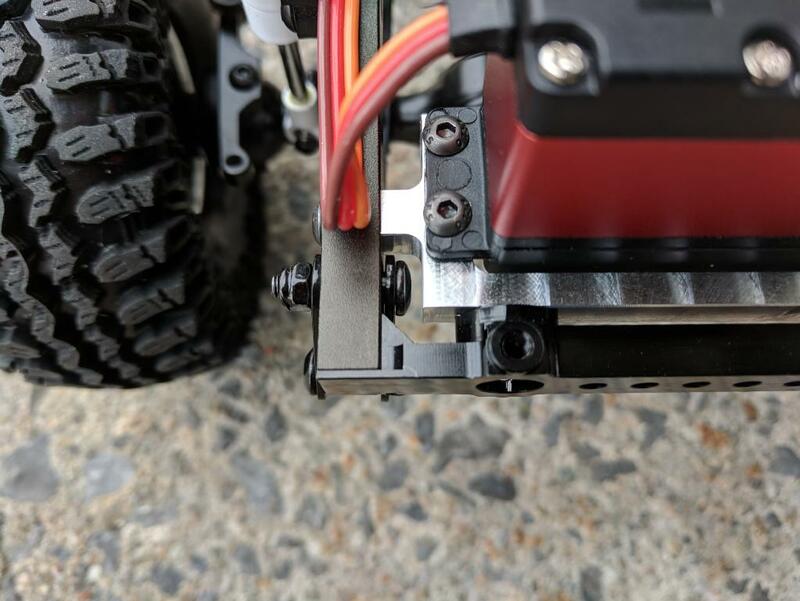 Install the new servo mount, using the same hardware from the stock mount. 3) Install the side frame mounts in the stock mount holes on the TF2 frame, with the Flat/Angled edge UP. 4) Install the Tcase Crossmember on the back of the LRT2 Case, using only the 2x 2.5 setscrews (included). Use Thread Locker on these 2 screws. 5) Place the transmission and Tcase combo in the truck, and install the front mount screws and the 2 Crossmember screws. This LRT2 case is a GCM part, and is designed to work with this GCM combo. The internals will not fit the RC4wd R4 transmission. This transmission combo will offer a drive ratio at the rear driveshaft of 14.3 to 1 motor turn, where as the RC4wd transmission offers a 10.5:1 ratio. 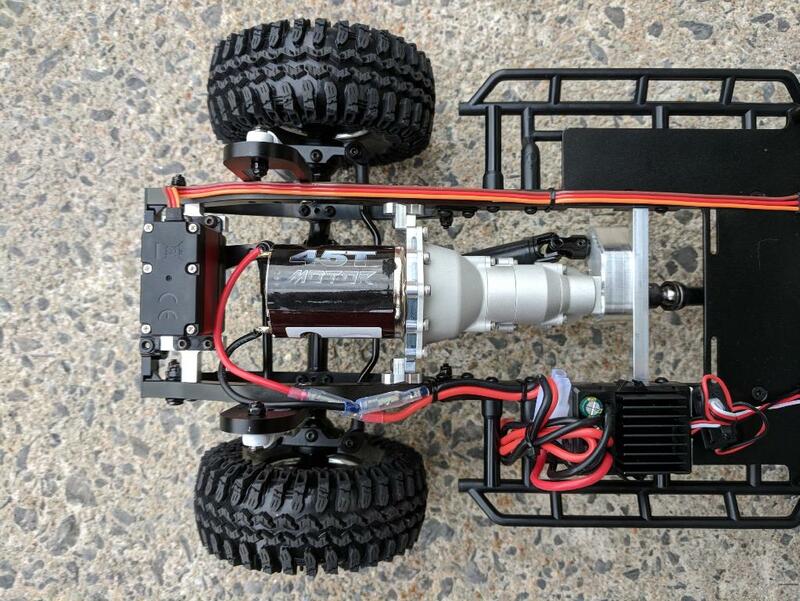 This trans is slower driving than the RC4wd scale trans. This kit includes the No-Slot motor plate for a very easy pinion mesh. Install and go.